I still have most of those old advent calendars, waiting to be re-used. I have a feeling, though, that yours is the one we can’t find… Do you think so, too? Aw. They can’t compare with Beth;s for Ev, though. I would definitely use mine if it were findable! I Might even try to create that! Wow! 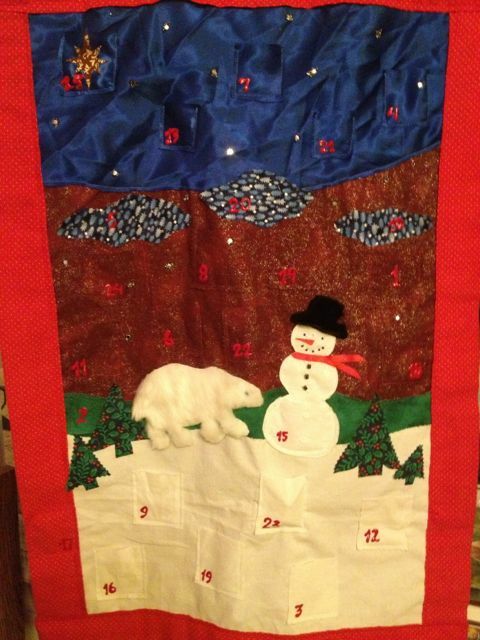 And I had the Elf Advent calender as well…wish I still had it…it was so cool! I wonder if any stores sell that, I haven’t seen it around in years. I wonder that too… I’ve looked for that type of advent calendar before in stores, and I can ONLY ever find disposable chocolate ones.